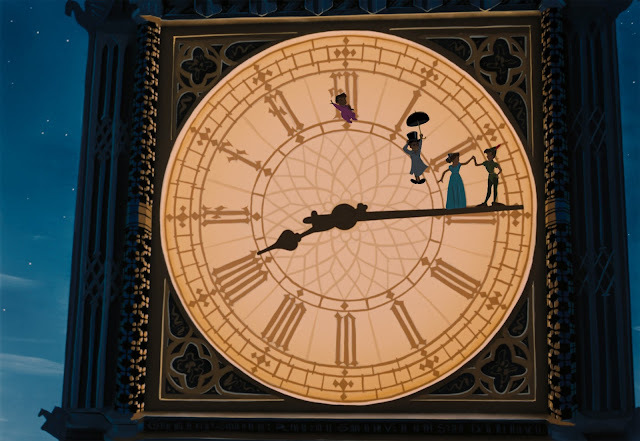 What can be said about a classic movie like Peter Pan that hasn't already been said countless times? 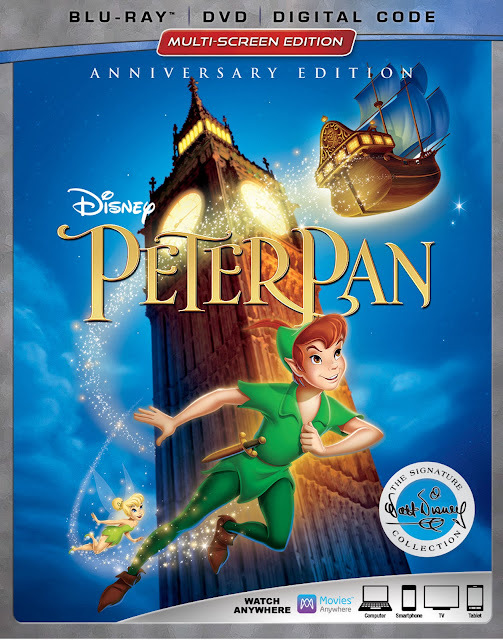 Peter Pan is a Disney movie that has entertained us for 65 years and will continue to entertain us all for many years to come. My family and I were able to check out the newest Walt Disney Signature Collection release of Walt Disney Animation's Peter Pan, and it is more amazing than ever. 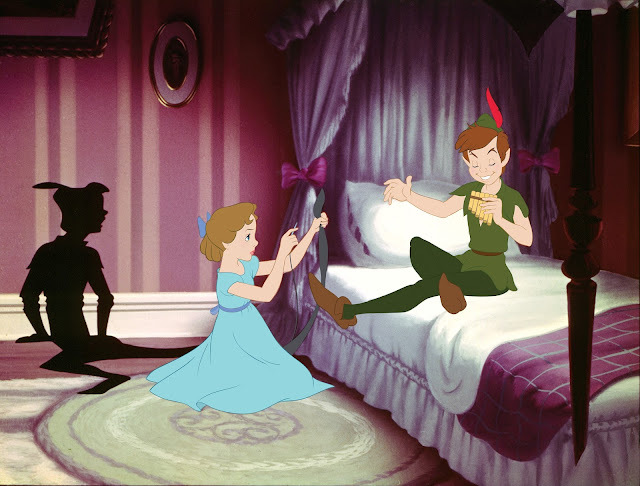 Peter Pan is the classic tale of the boy who refuses who just so happens to pop into the Darling children’s room looking for his missing shadow and before they know it their flying over London and off to have the journey of a lifetime. Along the way Peter, Wendy, John & Michael run into pirates, fairies, the lost boys, Indians and mermaids! We get introduced to so many classic Disney heroes and villains in this movie from Peter and Tink to Captain Hook & Mr. Smee this movie is a classic through and through. 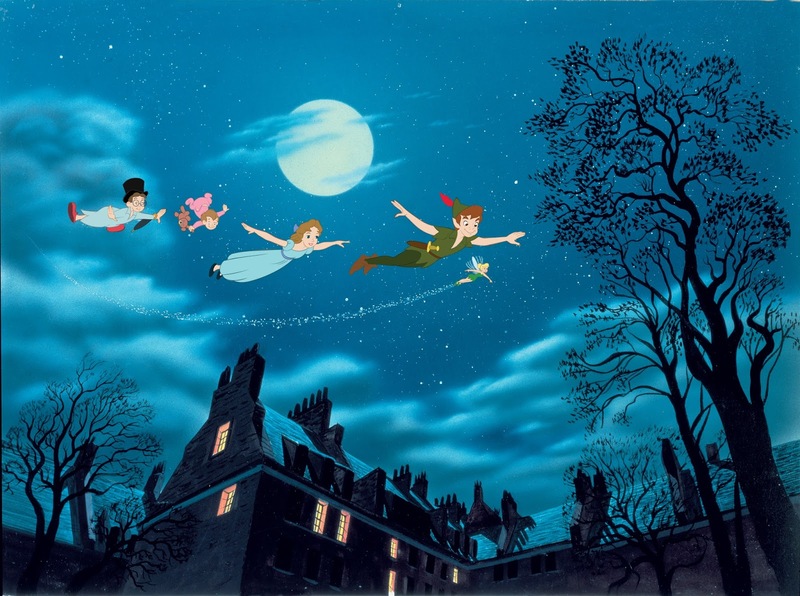 But my favorite aspect of the movie is not a scene or a character even but the song “You Can Fly” whenever I hear this song I instantly become happy and I get whisked away to Neverland. Now the movie itself besides looking fantastic has a bunch of really great special features including deleted scenes, deleted songs, backstage looks and a features such as The Peter Pan That Almost Was and much more. 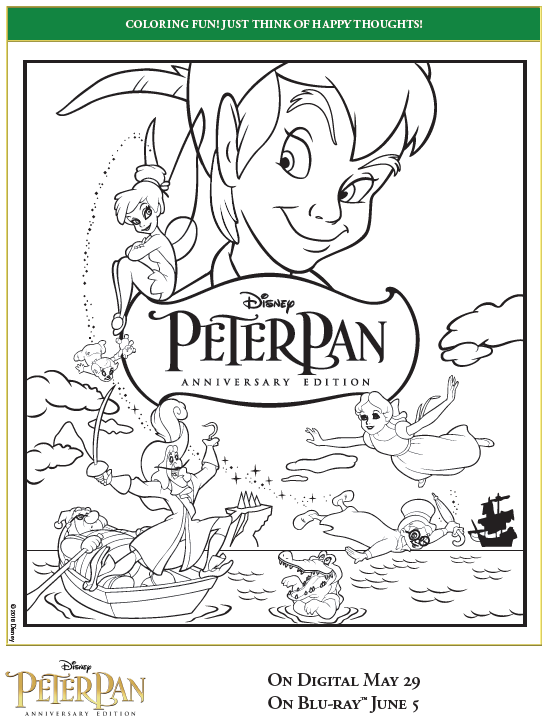 To get everyone even more excited for this release, I have some fun Peter Pan coloring and activity sheets for you, simply click on the image below and print out the sheets and enjoy! This Blu-ray has great picture quality, wonderful sound, and amazing extras. 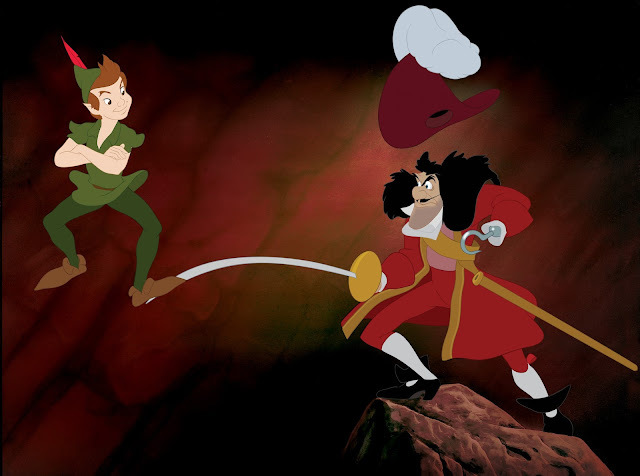 The Disney classic Peter Pan is turning 65 but it sure doesn't show its age. One of my most favorite bonus features is the song “Never Smile at a Crocodile”, this catchy song was a deleted song from the movie. It is a really fun song, that I think would have worked very well in the film but I understand not all scenes/songs make it to the final cut. Speaking of songs another wonderful feature is a Sing-along Version of the film. You can sing along with your favorite songs from the movie, it does not matter if you are a good singer, I am not the best but… it is all about having fun and living the Disney magic! Stories from Walt’s Office: Walt & Flight was a great peek into the backstage magic, and you learn about Walt Disney’s love of airplanes. I love seeing new to me, Disney clips. Getting to learn more about the man who started this empire is always fascinating to me. Celebrate the 65th Anniversary of Walt Disney Animation's Peter Pan, available on Digital and Movies Anywhere May 29th and on Blu-ray™ June 5th. The movie joins the Walt Disney Signature Collection, watch to relive the animated classic with more than two hours of bonus features and new never-before-seen extras. Be sure to pick up a copy to visit and join in on the adventure, and fun in Neverland, because like Peter Pan “I'll never grow up, never grow up, never grow up!” and that is just fine with me. 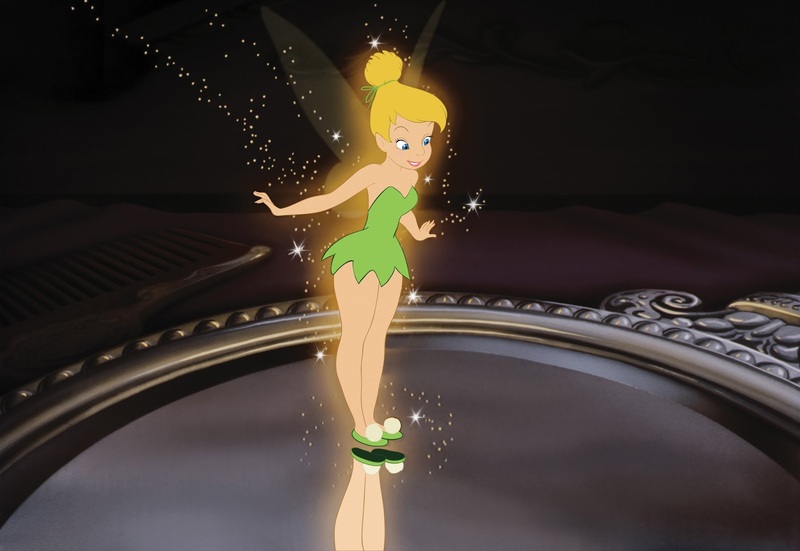 Experience the Magic of Disney’s Beloved: “Peter Pan” Soars into the Walt Disney Signature Collection available now on Digital and on Blu-ray™ June 5th.